I try not to give myself targets or certain books to read a month, honestly because I can never quite say which book I will be interested in reading until I actually do pick it up. So each month the books I decide to read are always a surprise to me. This month, I am making an exception. I've been dying to read Alain Mabanckou's novels for a while now, and I am sure I have mentioned it more than once here. Finally, I can because I received the best gifts ever :). 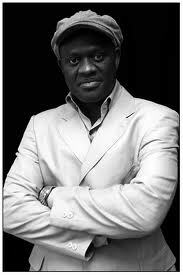 So August will be Alain Mabanckou month. I will obviously try and read other novels, but there will be a more than usual focus on this specific author. I am reading his novels in order of when they were translated into English: African Psycho (2007), Broken Glass (2009), Memoirs of a Porcupine (2011) and Black Bazaar (2012). If anyone else out there has read his novels, please let me know which ones are your favourites. If you haven't, please feel free to join me.